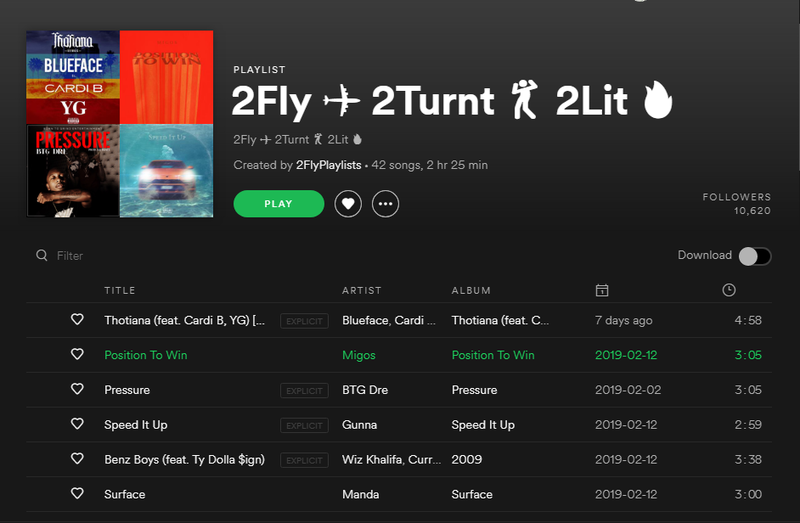 I will add 1 track our partner playlist "2Fly ✈️ 2Turnt ???? 2Lit ????" which has more than 10,000 active followers. This playlist features new Hip Hop, RnB, Trap music, and related sub-genres. This playlist has real people listening, streaming the music, getting placed is a great way to help increase your streams, monthly listeners and is continuing to grow everyday. 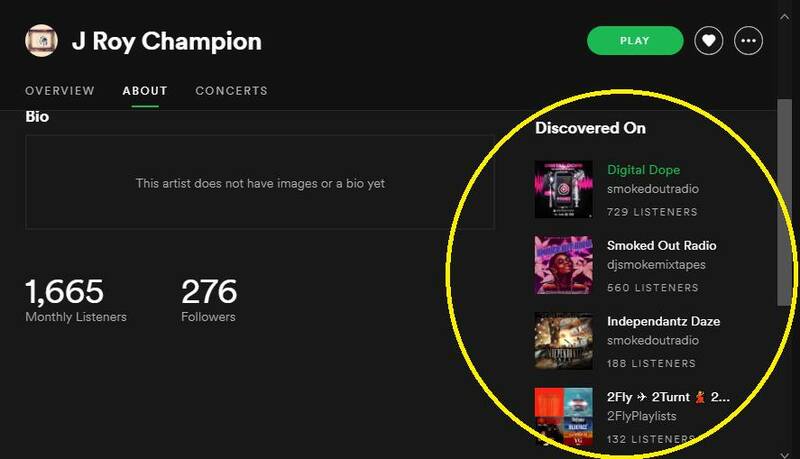 People typically pick up about 2000 - 8000 streams in a month's time from this playlist. 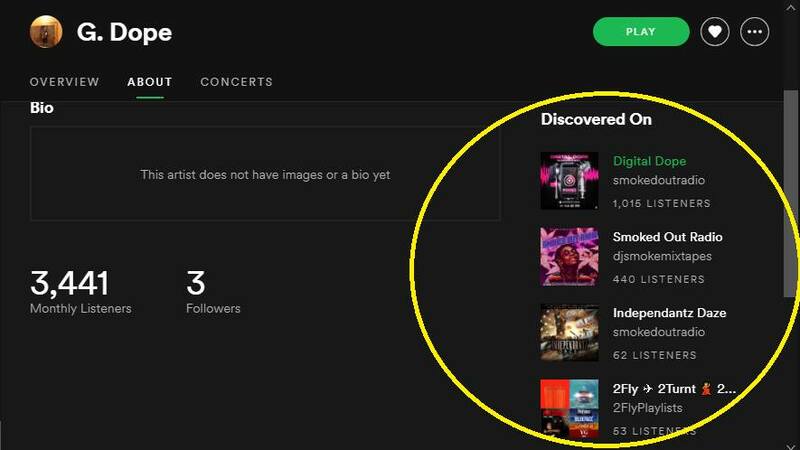 Getting on more playlists helps your music be picked up by the algorithms. It helps build popularity from mass amounts of users playing your music. ASK ABOUT OUR MONTH-TO-MONTH MARKETING X PROMOTIONAL CAMPAIGNS!! Add your song to my playlist with over 10k active users (FAST TURNAROUND) is ranked 5 out of 5. Based on 4 user reviews.